A rust Harris tweed golfing suit, 11.12.24. Jacket by Scholte of London, trousers by Forster & Sons. Jacket has a convertible collar for cold weather (I assume this means a button to which the lapel buttonhole fastens). 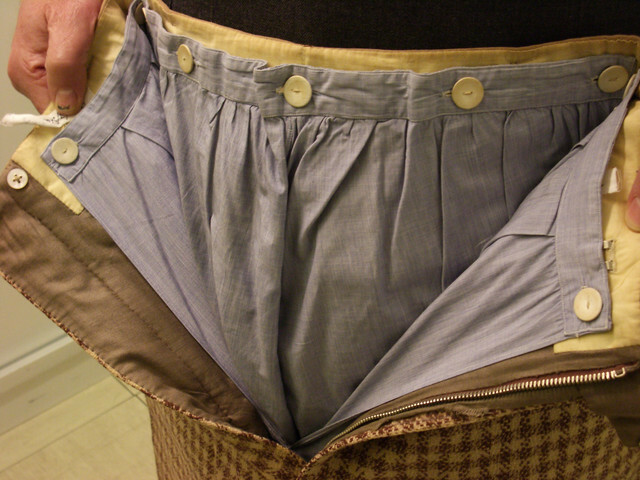 Trousers “cut high in the waist and originally supported by an inner elasticated girdle to maintain a looser hang. The hems curve under to fasten to the cotton plus-four lining. 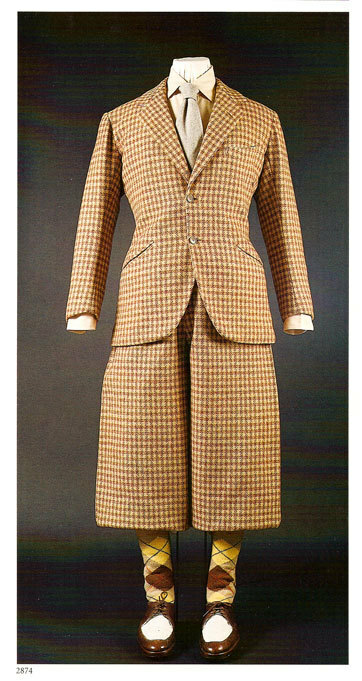 Pecan brown and beige wool Shepherd’s check suit, 1934. Jacket by Scholte of London, trousers/plus-fours by Forster & Sons. Check tweed sport suit, and an incredible piece of work, 1930. Again, the hip pockets would appear to be crescent. Button-in cotton plus-four lining. 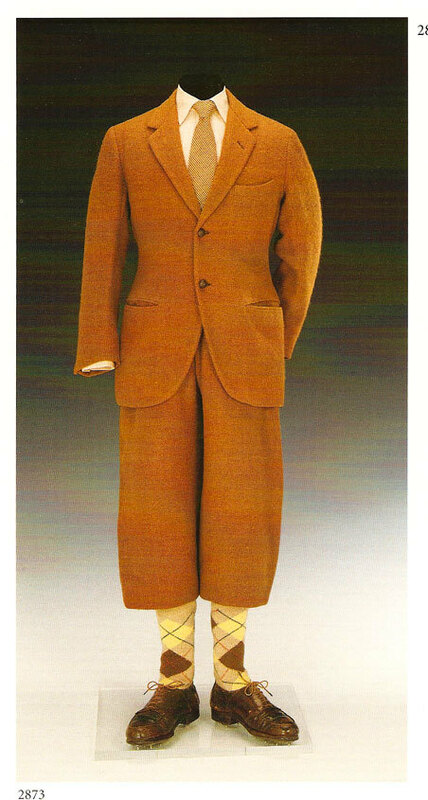 These trousers actually appear to be the 1934 Pecan brown and beige wool Shepherd’s check suit that was also shown above. Just one oddity of a man who was very specific and detailed about his clothing. Now I know what I’m going to do with the 5 yards of plaid fabric I just got at the Salvation Army Store!